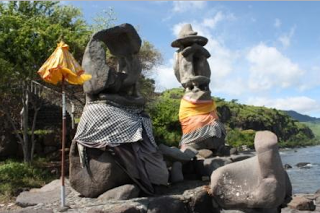 Sembiran Village-According to the story of the ancients, Balinese people consisted of two, namely the original Balinese or Bali Aga or Bali Mula and Balinese immigrants (from Majapahit). Indeed, the traditions in each region in Bali differ from village to village. However, only Bali Mula Village which has a unique culture does not exist in the other villages.Its uniqueness lies in the way of life that still maintains tradition, home architecture, and other habits. Speaking of ancient villages on the island of Bali is very exciting, what is meant by ancient in this article is the tradition and art of culture and everyday life which are still classified as carrying out the procedures of their ancestors. 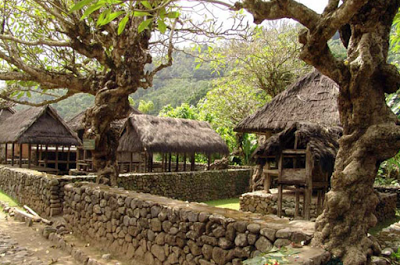 In the district of Buleleng, there is an Ancient village called Old Sembiran Village. But there are still other Bali Aga villages such as Tenganan Village, Penglipuran Village, Trunyan Village, Pedawa Village, Tigawasa Village. The age of this village is approximately hundreds of years, this village also has a various historical heritage which is estimated to be 2,000 years BC which is estimated to be in the era of Poletithicium and Megalithic with a total of 40 sites made of stone and iron. These objects cannot be found in other areas except in Sembiran Village. These historical objects are in the form of furniture such as flat iron objects, stone hand axes (proton-axes), iron-based irons, square-shaped cutting tools made of stone (Side Chopper), stone-based hammers (Hammeratones), and small stone tools such as stone flakes for slicing (Flakes). These historical objects have been stored and preserved and added to the new building with a traditional concept, can be said to be the renewal of the former house but still hold the original architecture. The houses in Sembiran Village have a unique architecture, so you can only find their customs in this village. Of the 17 temples found, the design is different from the fake designs in Bali in general and the temple is also different from temples in Java or India. The material is also made of large stones and is estimated to have been built since the stone age (megalithic). Not only buildings but sacred dances are also still preserved by Sembiran Village. These sacred dances are usually staged when there are religious ceremonies. By maintaining its authenticity, this Sembiran Village is very unique.